Lavender is an herb with a long history of use dating back to Greek and Roman times. There are several different varieties available – some grown for commercial use and others for culinary use. 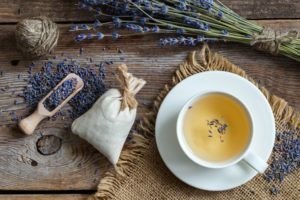 Most people are familiar with lavender in soaps, perfumes or potpourri baskets, and for its medicinal or relaxation qualities. How do I use it in cooking? 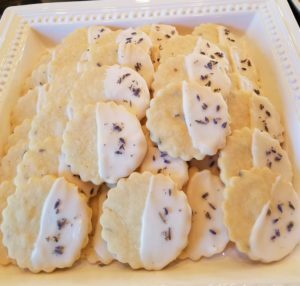 Culinary lavender flowers and leaves can be used fresh or dried, and imparts a slight mint, floral, and/or citrus flavor. It is wonderful used in both sweet and savory dishes. Lavender pairs well with rosemary, thyme, sage, fennel and oregano. A little lavender goes a long way, so start small and experiment a bit to find the desired amount. In creamy or smooth dishes, use whole buds to infuse the flavor, then strain them out before finishing the dish. For rubs, grind a small amount in a spice grinder and combine with other complementary ingredients. You can use fresh or dried buds, keeping in mind that dried will impart a more intense flavor as with any herb. When cooking with dried, reduce the amount by 2/3 of what is called for in fresh. Lavender is most commonly associated with the south of France, but also grows in other areas of the Mediterranean, northern and eastern Africa, southwest Asia and southeast India. Many states in the USA grow lavender, with the bulk of it grown in Oregon and Washington. Purchase culinary lavender from a reliable source such as directly from a grower (farm or farmers market), a Middle Eastern retail store, or a spice shop such as Penzy’s. 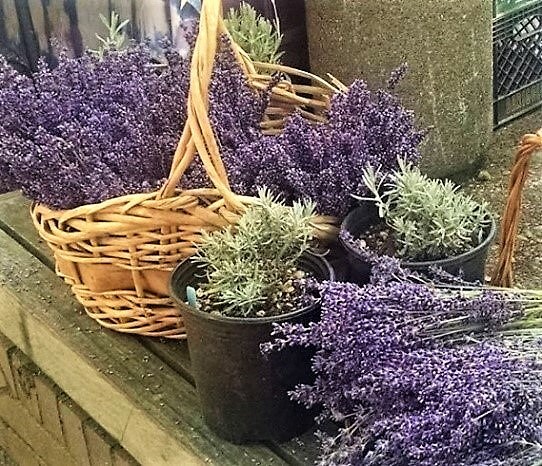 For cooking, do not use lavender grown for commercial use, such as for potpourri or soap, as the flowers may be sprayed with chemicals and oils. Look for lavender labeled “culinary” or “for culinary use”. 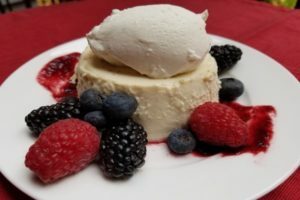 Most of us enjoy lavender for its aromatherapy qualities, yet culinary lavender is wonderful for enhancing both sweet and savory dishes with a slight mint, floral and/or citrus flavor.